The purpose of this paper is to explore the potential of the metaphor of capital, and to chart the development of the multiple capitals concept in the International <IR> Framework and consider how it might develop and be used. In doing so the paper discusses the implications of the contributions to this special issue in the further development of the capitals concept. Design/ methodology/approach We draw on documents of the International Integrated Reporting Council (IIRC) and review the literature on capitals to consider the formation of the metaphor of multiple capitals. This is reflected upon while recognising the varied involvement of the authors with the IIRC capitals conception. The challenges of conceiving a multiple capitals framework are critiqued with reference to empirical and theoretical contributions drawn from recognition of planetary boundaries, gendered capitals, power and intersection of capitals, and important practical and conceptual insights raised by papers in this special issue. Findings We find that the agenda of the IIRC is a shift from a “financial capital market system” to an “inclusive capital market system” through recognition of multiple capitals and integrated reporting and thinking. It is emphasised that their vision is not intended as a call for the measurement of these various capitals in monetary terms alone. Through insights from research on planetary boundaries and gendered capitals, we critique the potential communsurability of capitals and make visible potential tensions between them. Some of the challenges and opportunities when reporting on multiple capitals are recognised. 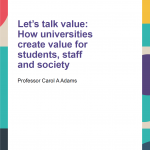 These include: use of the capitals terminology; analysing connectivity between the capitals; the extent to which value created (and depleted) by each capital should be monetized and highlight possibilities for future research. Originality/ value It is through discussions around multiple capitals – what is in, what is out, how capital is valued – that metaphors will be (re)created. By considering the notion of capital in <IR> and critiquing this with reference to research insights we seek to open up debate on the framing of multiple capitals. Practical implications Reflecting on the vision of the IIRC, we use the critical potential of the metaphor to highlight the IIRC’s vision and understanding of the role of multiple capitals and potential tensions between them. We provide normative insights into the need for engagement on the philosophies of integrated thinking and symbolism of capital and multiple capitals as the way forward. This article is (c) Emerald Group Publishing and permission has been granted for this version to appear here (www.drcaroladams.net). Emerald does not grant permission for this article to be further copied/distributed or hosted elsewhere without the express permission from Emerald Group Publishing Limited. The purpose of this paper is to explore the potential of the metaphor of capital, and to chart the recent development of the multiple capitals concept in the International <IR> Framework and consider how it might develop and be used. We argue that opening up what is capital and integrated thinking on how we conceive of multiple capitals and their relationship is critical to debate on sustainable development and practice. There is division within academia, accounting in particular, on the appropriateness of applying the term capital beyond finance and economics to social issues and nature. There is fear on one side that people and nature become captured by economic hegemony and their intrinsic value and sense of morality is lost, often unconsciously, through symbolic violence (Bourdieu, 1986, 1996; Cooper at el., 2011; Barter 2015). This reflects a fear that the predominant meaning of capital has come to be represented, quite literally, by money or assets bought for money, and that which is owned. In turn more inclusive conceptions of capital as stores of value or wealth are seen as mere metaphors challenged by a desire for, among other things, pragmatism, reductionism and scientific management. Thus, undermining the interpretation of a metaphor and its enabling ability to help us to understand and experience one thing in terms of another (See for example Young, 2001 on the importance of metaphors), particularly important when considering one capital in relation to another. Accountants traditionally use the word “capital” as an economic metaphor for financial asset and manufactured means of production, subject to financial valuation and representation. As noted by Morgan (2006), considering metaphors leads us to understand and manaige images of organizations in distinctive yet partial ways. Debates around capital in the 21st Century have tended to focus on the relationship between accumulations, distribution and consumption of capital highlighting inequalities (see for example Picketty, 2013 on capital and economic hegemony). Considering the notion of capital as a metaphor helps to make visible partial and powerful representations of capital (Clancy, 1999; McGoun et al., 2007; Kimmel, 2010). Llewelyn (2003; 662) further argues the contribution of metaphor should particularly be considered in the context of other theoretical approaches when exploring change. She applies Bhashkar’s (1979) view of ‘practical adequacy’ to argue that “possibilities for conceptual framing extend beyond the highly abstract schema generally considered as “theories” by academics”. This argument is particularly relevant to our consideration of the emergent discourse and analysing narrative practice of reporting on multiple capitals. This sentiment is echoed further by Collins et al. (2009) when exploring changes in UK Financial Services and builds on the use of metaphors in accounting discourse highlighted by Walters-York (1996). Early reference to nature’s capital is provided by Schumacher (1973) in his seminal work Small Is Beautiful: A Study of Economics As If People Mattered, written in the wake of the energy crisis. Arguing against the exploitation of nature to provide economic growth, Schumacher (1973; 11) applied the metaphor of capital to nature to highlight the failure to maintain natural capital as a risk to economic income. Drawing upon the economic relationship between income and capital he argued “businessmen” were under the “illusion of having solved the problems of production” where “..illusion is based on the failure to distinguish between income and capital where this distinction matters most….namely the irreplaceable capital which man has not made, but simply found and without which he can do nothing”. He argued that without maintaining natural capital a false sense of security had arisen in calculation of economic growth because we treat as valueless everything that is not ‘manmade’ and the economy of spaceship earth could not afford this. A similar position was taken up later by Costanza et al. (1997; 254) who calculated the current economic value of 17 ecosystem services to highlight the “natural capital stocks that produce them are critical to the functioning of the Earth’s life-support system. They contribute to human welfare, both directly and indirectly, and therefore represent part of the total economic value of the planet” (Costanza et al. 1997; 253). A further basis for their calculation of economic value was to add parity between natural and manmade resources in policy decisions. (See also Costanza and Daly, 1992; Barter, 2015). More recent engagement in sustainability has expanded the notion of capital to include the social and natural environment. For example, the prominent international initiatives TEEB (The Economics of Ecosystems and Biodiversity) and the Natural Capital Coalition (founded in 2012 as the TEEB for Business Coalition) have put the term natural capital firmly on the agenda of organisations and policy makers interested in managing biodiversity and ecosystems services from an economic perspective. Complementing this, the OECD (Organisation for Economic Co-operation and Development) highlights the importance of also recognising social capital formed as a product of our shared norms and values alongside economic capital. Taken together, such recognition of natural, social and economic capital increasingly underpins models for sustainability based on management of the economic system alongside and within natural and social systems. Emphasis is placed on systems integrity and maintenance of ‘critical’ capital based on material thresholds for resource renewal and assets potentially stranded by climate adaptation strategies (Leaton et al., 2013; Wijkman and Rockström, 2011). As previously demonstrated within this Journal, the relationship within and between different capitals and derivative systems are subject to considerable debate (see, for example, Ogilvy 2015; De Zwaan, Brimble and Stewart, 2015). We discuss the use of ‘capital’ in a metaphorical sense and consider the implications of this. While literal language assumes an accepted meaning, metaphorical language assumes a more relational, arguably philosophical, conception where words and their meanings are defined by comparing and contrasting their meanings to one another. Putting distinct capitals together and considering how one capital might be transformed into (an)other(s) highlights the importance of understanding their relational meaning to one another and their collective product as an articulation of the world. We use the critical potential of the metaphor to disclose aspects of capital that may not have been previously considered and the conceptual relationship of multiple capitals. While considering the metaphor of capital arguably helps us to progress it may also lead to unsettling views of both positive and negative potential. To guide the practice of disclosure and make transparent the creation, distribution and consumption of capitals with sustainability in mind we need to explore the meaning of capital and its use within the development of multiple capital frameworks. We focus on the recent development of the multiple capitals concept by the International Integrated Reporting Council (IIRC) in the International <IR> Framework and consider how it might be further developed and used. The first half of the paper draws on documents of the IIRC and a review of the literature on capitals to consider the vision and notion of capital/s used by the IIRC. In the second half of the paper the challenges of conceiving a multiple capitals framework are considered with reference to debate drawn from empirical and theoretical contributions on planetary boundaries, gendered capitals, and power and the interaction of capitals with one another. Complementing this is our review of the papers within this special issue which contribute to conceptions of capital and provide examples of challenges and opportunities when accounting for multiple capitals and their interactions. In our discussion and conclusion we draw this analysis together to consider whether the International <IR> Framework will make a difference to the stewardship of multiple capitals i.e. the management or care of the capitals to ensure that they are maintained. We also highlight some of the challenges and opportunities for those engaged in working with capital and multiple capitals from academia, policy making and practice. The next section explores the notion of capital through the metaphor of capital used in the International <IR> Framework and the background to the development of the multiple capitals model in <IR>. Shortly after its formation in 2010, the International Integrated Reporting Council (IIRC) released a discussion paper Towards Integrated Reporting – Communicating Value in the 21st Century (IIRC, 2011) initiating debate on the concept of ‘multiple capitals’ and their role in value creation. Debate and the practice of reporting on multiple capitals have continued to grow ever since. The IIRC is seeking to align corporate behaviour and the allocation of financial capital to wider goals of financial stability and sustainable development through the cycle of integrated reporting and thinking. The IIRC’s policy agenda contributes to this by advocating for three economic governance shifts, one of which is a shift from a “financial capital market system” to an “inclusive capital market system”. The other shifts are from short-termism to sustainable capital markets with incentives that encourage and reward long-term decision-making, and from silo reporting to Integrated Reporting. Monetization will, no doubt, be a tool that finds a use at times. For example, Kering, owner of brands such as Puma, Gucci and Saint Laurent, has committed to “Measure our environmental impacts across the entire supply chain [and] Provide monetary values for these impacts” in the form of an “Environmental Profit & Loss” (or E P&L) by 2016. But monetization should not to be thought of as a goal in its own right, or the only or necessarily best way to report on the capitals; as the Framework notes “The ability of the organization to create value can best be reported on through a combination of quantitative and qualitative information” (IIRC 2013b, paragraph 1.11) and “Both qualitative and quantitative information are necessary for an integrated report to properly represent the organization’s ability to create value as each provides context for the other” (IIRC 2013b, paragraph 3.8). To be too focused on monetisation would bring us back full circle to the notions of money and ownership as the only true meaning of capital. Using the word “capital” in the broad sense the IIRC’s Integrated Reporting <IR> Framework classifies capitals as financial, manufactured, intellectual, human, social and relationship, and natural (IIRC, 2013b, paragraph 2.10). Inherent within this classification is a reminder that we can, and do, store wealth (or value in <IR> terms) in forms other than money, and that those stores of value can be used by an organisation to create further value for itself and/or for others. Of course, like money invested in a business, other forms of capital can also be lost, depleted or used up, i.e., decreased, as well as increased or otherwise transformed. It is the process of increasing, decreasing and transforming capitals that is at the heart of capitalism and of all other systems of economic organisation. It is the inescapable, systemic link between the capitals and financial stability and sustainable development that the IIRC is striving to make more apparent, albeit through the imperfect means of organisational reporting and the effect that has on organisational decision-making and the allocation of financial capital. Similarly, Forum for the Future (2009) identifies five types of “sustainable capital from where we derive the goods and services we need to improve the quality of our lives” . Their five capitals model as a framework for sustainability also included natural, social, human, manufactured and financial capital; however, the conceptual relationship between the capitals varied. The IIRC’s Prototype Framework (IIRC, 2012) and the Consultation Draft (IIRC, 2013a) drew on and acknowledged the prior work on multiple capital framing by Forum for the Future (2009) and The Sigma Project (2003) but went on to identify the following six capitals: financial, manufactured, intellectual (added), human, social and relationship (expanded definition) and natural. The IIRC’s consultation sought to ascertain whether respondents agreed to its approach to the capitals and the reasons why, or why not. Much of the detail inherent within the IIRC’s conception of the six capitals can be found in its Capitals Background Paper (Adams et al., 2013). The paper was sponsored by two professional accounting bodies, the ACCA and the Dutch NBA, and included Carol Adams, Andrea Coulson and Michael Nugent in the project team. The Project Team’s work was done following the receipt of feedback on the IIRC’s Consultation Draft (IIRC, 2013b) and prior to the finalisation of the International <IR> Framework (IIRC, 2013c). The section that follows provides insights into the methods and processes underlying the formation of the background paper. One of the first tasks of the project team for the Capitals Background Paper (IIRC, 2013) was to consider the extent of usage of the terms associated with the various capitals and what was commonly understood by them across the disciplines. Initially Google Scholar searches were conducted and found that the terms human and social capital were very widely used with intellectual, financial and natural capital being significantly less used. The term ‘manufactured capital’ was the least used. This was followed by using the Google Corpus website/tool to show the usage of these terms over time. The use of the term ‘human capital’ increased steadily from the 1960s levelling off in the late 1990s to be overtaken by ‘social capital’ as the most recognised capital from the 2000s. Key academic, professional and government literature was then identified through searches of academic databases, Google, dictionaries and online encyclopaedias for detailed review. The purpose of this review was to ascertain the robustness of the capitals concept and of the definitions used. The Project Team also reviewed a summary of the comments on the IIRC’s 2011 Discussion Paper which found overwhelming support for the capitals concept. A majority (70%) of the 214 respondents agreed that the concept of multiple capitals is helpful in explaining how the organisation creates and sustains value with a further 6% agreeing with some qualification. One particular issue on which the IIRC’s Project Team was challenged by the Steering Committee governing it was with regard to the need for human capital and social and relationship capital to be identified distinctly from intellectual capital. In the end it was felt that the strong acceptance of all three terms necessitated the inclusion of all three with an acknowledgment of the connections and trade-offs between them. For example, Nahapiet and Ghoshal (1998) demonstrate how social capital leads to new forms of intellectual capital. The IIRC’s Capitals Background Paper (Adams et al., 2013, paragraph 4.23) discusses these issues and notes “Perhaps the simplest way to differentiate between human capital, social and relationship capital, and intellectual capital as used by the IIRC is to view them from the point of view of the “carrier” of each: for human capital, the carrier is the individual person; for social and relationship capital, the carrier is intra/extra-organizational networks; and for intellectual capital, the carrier is the organization”. Supporting this finding, the Capital’s Background Paper provided examples of metrics used in IIRC pilot company reports and suggested that a database of metrics be developed, particularly including those which demonstrate the relationship between one or more capitals. It is important to appreciate that the background paper on capitals was one of five issued to inform the IIRC’S International <IR> Framework (IIRC, 2013b) – others include the Business Model, Connectivity, Materiality and Value Creation – and these should be considered together as articulating the basis for <IR> as it was evolving. Understanding the IIRC’s position on capital and the six capitals thus involves an appreciation of their meaning as applied in the International <IR> Framework. As well as external reporting on the capitals, the IIRC promotes internal decision-making that recognises the relationships between the six capitals. This is what the International <IR> Framework, calls integrated thinking, which “takes into account the connectivity and interdependencies between the range of factors that affect an organization’s ability to create value over time, including – the capitals that an organization uses and affects and the critical interdependencies, including trade-offs, between them” IIRC (2013b; 2 [Emphasis added]). Of further debate surrounding the framing of multiple capitals is the relevance and conception of ‘materiality’. The International <IR> framework recognises “An integrated report should disclose information about matters that substantively affect the organization’s ability to create value over the short, medium and long term” ” [Emphasis added] (IIRC, 2013b; 5). While the concept of ‘value’ recognized by the IIRC is not limited to financial value, the primary purpose of integrated reports is identified as being to explain to providers of capital how an organization creates value over time and, in this respect, the role of the capitals is in defining value in a communication primarily directed to shareholders and/or other providers of capital. 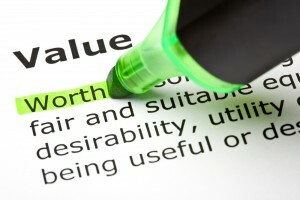 Where it is still ambivalent is how ‘value’ to stakeholders is incorporated, although it is explicit that value has two interrelated aspects – value created for the organization itself (which enables financial returns to the providers of financial capital) and value created for others (i.e., other stakeholders including society at large). Facilitating transparent debate on the practice of <IR>, the IIRC has begun to build a library of examples, as part of the Integrated Reporting Database, of how organizations are reporting on the multiple capitals concept. Furthermore, it has also joined with other standard-setters through the Corporate Reporting Dialogue to create a “Landscape Map” that, amongst other things, shows how different reporting initiatives relate to the six capitals. At present, capitals within the <IR> value creation process are symbolised from input through the ‘business’ to outputs and outcomes (Adams et al., 2013; 13 fig.2). This seemingly linear, but iterative, flow needs to be further considered within a broader framework of relationships and thresholds. For example, placing greater emphasis on the consideration of multiple scales and planetary boundaries Raworth (2012) suggests a circular “doughnut” model is needed to provide “A Safe and Just Space for Humanity” (See also Dearing et al., 2014). Arguably, adopting a multi-disciplinary, if not an interdisciplinary approach, is needed to consider these relationships and thresholds. In the second half of the paper the challenges of conceiving a multiple capitals framework are critiqued with reference to debate drawn from empirical and theoretical contributions on planetary boundaries, gendered capitals, and power and the interaction of capitals relations. Complementing this critique is our review of the papers within this special issue which contribute in different ways to our conception of capital, different examples of capital and ideas on integrating multiple capitals. In this section we consider key challenges in conceiving a multiple capitals framework including: the imperative of working within planetary boundaries; calls to recognise gendered capitals in the interests of both human rights and sustainable business; and, imbalances of power and interactions of the capitals. While the practice of managing and accounting for natural, social and other capitals has been increasing, debate of the conceptualisation of ‘multiple capitals’ has been limited. As highlighted by the IIRC, to explore multiple capital derivations emphasis is placed on how to frame their interrelationships. When considered from a multidisciplinary perspective careful analysis is needed of the methodological position underpinning the notion of capital in terms of its ontological view of what is known and what can be known (i.e. assumptions and limits of science around planetary boundaries) and our epistemological derivation of knowledge, how we come to know something (i.e. links to theoretical framing). It is by examining our fundamental assumptions of nature and the social world that we may begin to understand threshold limits and ‘materiality’ in relation to them. Further, it is important to consider the extent to which, in this case the metaphor of capital and multiple capitals, our representations can be reduced to a single plane of description and how this could or should be achieved. Many definitions of sustainability are arguably related to substitution between and within capitals. For example, the distinction between “weak” and “strong” sustainability is often made on this basis of maintaining the overall stock of man-made and natural capital. Weak sustainability arguably assumes unconditional, substitution between various capitals, while advocates of strong sustainability argues that capitals are complimentary but not necessarily interchangeable (See De Groot et al., 2003; Ekins et al., 2003; Figge, 2005; Brand, 2009; for conditions on substitution/ trade-offs between capitals). Recently, when determining boundary conditions for substitution, more thought has been given to reflecting interdisciplinary perspectives, multiple scales and levels of analysis and boundary conditions. 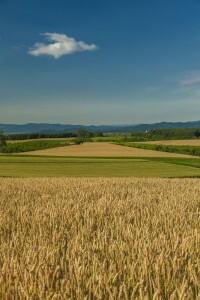 For example, a seminal work was provided by Rockström , Steffen and 27 other colleagues (2009a, 2009b) who came together to propose a safe operating space for humanity bounded by nine tipping points described as ‘planetary boundaries’ based on the planet’s biophysical subsystems and processes. They argue that, if these planetary boundaries are crossed, the earth could shift into a new state with disastrous consequences for humans. These planetary boundaries are seen as relevant to everyone including: governments at all levels; private, public and third sector organisations; and, civil society. The original work by Rockström et al. (2009a and 2009b) has been recently updated by Steffen et al (2015). While the idea of limits to growth is not a new one (see, for example, Meadows et al., 1972; Schumacher, 1973; Costanza et al., 1997; Meadows et al., 2004), the work of Rockström et al., (2009a and 2009b) is distinguished among other things by the sheer scale of collaboration it represents and multidisciplinary perspectives taken. It has been cited by academics and practitioners alike with sources as varied as Oxfam (Raworth, 2012) and NASA (http://pubs.giss.nasa.gov/abs/ro06010m.html). It should be noted that critics of the work on planetary boundaries argue for caution on reduction to highly unpredictable tipping points and concern is divided on both the management of single boundary indicators and connectivity of boundary indicators (See, for example, Molina, 2009). Essentially the work of Rockström et al., (2009) is one of reductionism applied to highly complex systems which highlights the earth’s vulnerability. The extent to which the maintenance of these planetary boundaries should and can be operationalised remains the subject of debate. While Rockström et al. (2009) and Steffen et al. (2015) make no explicit reference to capital, debate on planetary boundaries highlights the relationship between the capitals and may help to define the elements of natural capital including: how can they be known (determined); the relevance of single ‘material’ thresholds (boundaries for management); and the potential interconnectivity between the elements of natural capital. In recent engagement, for example on the development of the Sustainable Development Goals (SDGs) and a strategic framework for sustainable development, planetary boundaries and multiple capitals (human, social, physical and natural) are now discussed together (Rockström and Sukhdev, 2014, see also Wijkman & Rockström, 2011; Raworth, 2012) and could arguably be linked back to developments in <IR>. As discussed earlier, recent developments in corporate reporting proposed by the International Integrated Reporting Council suggest that the reporting of other capitals will enhance accountability and stewardship for a broad set of capitals and promote understanding of their interdependencies (IIRC, 2013). The <IR> symbolism of the capitals and their relationships (Adams et al., 2013; 3) are elaborated on as follows: “financial and manufactured capitals are the ones organizations most commonly report on. <IR> takes a broader view by also considering intellectual, social and relationship, and human capitals (all of which are linked to the activities of humans) and natural capital (which provides the environment in which the other capitals sit)”. This can serve as a starting point to open debate on substitution (or trade-offs) and capital maintenance. However, emphasis remains on individual organisations to determine their accountability and stewardship for these capitals, many of which they do not own but do affect and arguably control. In the interaction of multiple capitals it is also important to recognise that their position is not equal, and the way they are characterised serves some interest groups much more than others, due to inherent power relations between multiple actors. This is particularly the case, when the various capitals are perceived as associated with the business case and major stakeholder interests, such as shareholders, under the current model of financial capitalism. The next section will raise two perspectives on these power relations occurring within the interaction of multiple capitals: an empirical concern about the degree of gender equality occurring in the ways in which sustainable businesses interpret and implement capitals and the potential tensions between them, and a theoretical interpretation of the interaction of capitals, drawing from the work of the French philosopher, Pierre Bourdieu. At the intersection, exploring gendered capital is particularly useful in highlighting how exploring the notion of capital as a metaphor allows us to make visible inequity in images of capital and allows us to examine the potential tensions between them emphasised by Borudieu. Both these perspectives give a brief insight into alternative lenses through which the complex interaction of capitals can be viewed, and where ‘capital’ as a form of non-financial value can be reconceptualised differently. Since the concept of sustainable development was defined, deriving from the deliberations of the World Council for Economic Development in 1983, as ‘development which meets the needs of the present without compromising the ability of future generations to meet their own needs’ (WCED, 1987 p. 43), it has been clear that sustainability involves the interaction of the economic, the environment, and the social, or what we might now term financial, natural, and human and social capitals. It also introduces the notion that development ought to aim at delivering some form of equity across and through the generations of people who presently, and who will in the future, populate our planet. As such it raises issues of inter-generational equity, between present and future generations, and intra-generational equity, between different peoples within the current generation. Such equity within the current generation would include equality between men and women. This is particularly relevant to the way that businesses conceptualise human and social capital and their relationship with natural capital because there is strong evidence that women and girls bear a disproportionate burden of the impact of climate change and social and environmental inequalities (UN Women, 2013; United Nations Department of Economic and Social Affairs, 2010). However, in the debate around capitals, sustainable business and their interactions, the issue of gender equality is often overlooked. Human capital encompasses knowledge and skills, education, physical ability or appearance, health and well-being; social capital encompasses the ability to develop social relationships and networks (Kwon and Adler, 2014). The ways in which human and social capitals are conceptualised, implemented and operationalised is often gendered in ways that disadvantage women (Adams and Harte, 1998; Broadbridge, 2010; Cook, et al., 2012; Grugulis and Stoyanova, 2012; Haynes, 2008; Haynes, 2012; Kumra and Vinnicombe, 2010). As noted earlier, exploring the notion of capital as a metaphor allows us to make visible this inequity in images of human and social capital and explore the relationship between them (Young, 2001; Llewellyn, 2003). While some businesses are beginning to try to address gender inequalities and even report on them (Grosser, Adams and Moon, 2008; United Nations Global Compact and UN Women, 2014), the traditional focus of companies is on gender equity at leadership level rather than throughout the global supply chain, and in the northern hemisphere rather than the ‘global south’ (see Global Reporting Initiative/International Finance Corporation, 2009). In this regard, the experience of women further removed from companies, but affected by business activity, is more difficult to capture. Moreover, there are potential tensions in the interactions between the capitals. When considering the interaction of human and social capital with natural capital, there are several examples of potential conflicts or tensions for non-paid or low-paid women workers, or women workers in supply chains in developing countries. Women with lower levels of education and health (i.e lower levels of human capital to contribute) have difficulties in gaining paid employment (and hence less financial capital) and are likely to be closely tied to subsistence models directly reliant on natural capital which may decline with climate change. Those individuals with less powerful social networks (social capital), and those with lower levels of human capital (education, knowledge and skills), are less able to exercise control and stewardship over natural resources essential to life (natural capital) and are less likely to have access to land rights. Through the commodification of natural capital, those with lower financial capital maybe disenfranchised from this artificial financialisation. To address gender equality as a key component of sustainable business is a key challenge, requiring the reconceptualization and interaction of capitals. A business genuinely pursuing sustainability would have to balance the interaction of, and the tensions between, financial, human, social and natural capitals, which as we have seen in this discussion, is problematic. 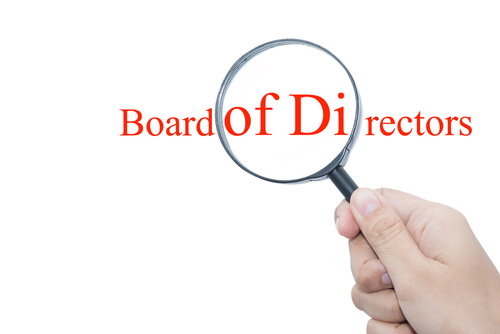 In light of developments in <IR>, organisations need to carefully consider the images of the organization that their disclosures on different capitals could represent. Further, transparency is needed on the challenges and opportunities recognised when managing and accounting for multiple capitals and potential tensions between capitals. Unlike the IIRC’s six capitals, Bourdieu’s work identifies three fundamental forms of capital: economic, cultural and social. These constructs of capital are clearly more theoretically developed and nuanced than those used by the IIRC. However, they do have resonance with some of the IIRC’s forms. Economic capital is described as the power to keep economic necessity at arm’s length (Bourdieu, 1986) and this equates broadly to financial capital Cultural capital can be embodied, objectified or institutional. Embodied cultural capital relates to self-presentation partly through external wealth or class converted into an integral part of the person (Bourdieu, 1986), often represented by physique, clothing or language (Everett, 2002; Haynes, 2008; Haynes, 2012). The possession of embodied cultural capital is a precondition for the profitable appropriation of objectified cultural capital, or cultural trappings; and institutional cultural capital includes educational qualifications, which can be linked to concepts of human capital. However, Bourdieu’s concepts of cultural capital encompass the symbolic resource as well as the technical credentials of human capital. Social capital is actual or potential resources which are linked to networks of culturally, politically or economically useful relations, and the power and resources that stem from these relationships, through material or symbolic profits (Bourdieu, 1986; Everett, 2002). This equates to the IIRC’s broad understanding of social an relationship capital as the ability to develop social relationships and networks, but stresses the symbolic and actual power they provide. Bourdieu’s three forms of capital are convertible and transmutable into each other and into broader symbolic capital (Bourdieu, 1986). Bourdieu does not specifically evaluate natural capital, or refer to any form of environmental or ecological capital, perhaps unsurprisingly given the different landscape during his lifetime, with his death occurring just as the IPCC third assessment report was published (IPCC, 2001). However, his concept of habitus, or the dispositions, attitudes and values within a field, can help us to interpret how different forms of capital become imbued with significance and meaning within the socially constituted systems of a field such as business. Some constructs, such as class, gender, or race, can be reinforced to perpetuate inequalities in a field. When Bourdieu’s concepts of capital are evaluated within the construct of the ‘field of power’, or what may be conceived of as global capitalism, the interactions of these capitals also become evident. Bourdieu (1996 pg. 264) describes the field of power as the ‘struggles among the holders of different forms of power, a gaming space in which those agents and institutions possessing enough specific capital (economic or cultural capital in particular) to be able to occupy the dominant positions within the respective fields confront each other using strategies aimed at preserving or transforming these relations of power.’ In other words, one can use Bourdieusian concepts to explain how and why some forms of capital are conceptualised as of greater significance and value than others, which helps to explain how their characterisation and commensurable power serves particular social groups more than others. This can provide us with opportunities to address, for example, resilience to climate change. Referring especially to resilience theory, Stokols et al (2013; 5), argue that: “the proposed multifaceted conceptualization of capitalized assets has direct relevance for resilience theory, which highlights transactions, wherein decrements in one form of capital are addressed through the mobilization of other forms of capital”. Using reference to capital defined by Bourdieu (1986) they highlight transmutation between different forms of capital but warn that in practice interactions between capitals cannot be captured by simple fungibility. Stokols et al. (2013) providing an important reference point for those pursuing the practice of <IR> and arguably adds importance to the recognition of the IIRC’s position that they are not calling for measurement of the various capitals in monetary terms. As emphasised by Stokols et al. (2013), it is important to preserve distinct features of each capital and sub-dimensions within them as often these may have irreducible ontological foundations. It is noteworthy that those rejecting weak forms of sustainability recognise conjoint irreducibility and inseparability of dimensions but often pragmatically seek common “planes of description” (Lejano and Stokols, 2013; 3). Narrative accounts frequently emerges as the primary medium rich enough to capture ‘transactions’ and the notion of “capital” has been evoked as a general descriptive concept (not to be understood as a common metric) – a very important distinction. It is arguably at the margins of discussions around multiple capitals, involving what counts as capital, how capital is valued, and who values capital, that the significance of capitals as a symbol or metaphor becomes helpful. As Bourdieu (1991) proposed, it is in the space between the centre or mainstream, and the periphery, that new understandings or forms of knowledge can be produced. In this social space the multidimensional influences informing symbolic meanings of capital change the way we perceive, comprehend and conceptualise capital. Further, as argued by Shenkin and Coulson (2006) Bourdieu’s conceptualisation of social practice can be used as a framing mechanism to explore the possibilities of accountability in corporate-stakeholder relations. In particular, Bourdieu’s emphasis on the role of the capitals in everyday life allows us to recognise the experience of capitals for victims of symbolic violence, including those further removed from business (Cooper and Coulson, 2014). Understanding the social-theoretical work of Bourdieu (1931-2001) alongside his intervention and social activism provides a framework to explore, for example, gendered inequality, injustice and human rights abuse (Bourdieu, 2008). In considering how to frame multiple capitals and operationalise valuation and potential trade-offs within and between capitals, reflection on our “logics of practice” becomes very important. Further, in a multi-stakeholder arena with different worldviews and their potentially incommensurate symbolic representation of ‘capital’, understanding the assumptions (and different philosophical starting points) behind practice and arguments could be critical to progress and is an important challenge to the practice of <IR>. This is what this special issue has tried to achieve. The papers in this special issue provide a range of theoretical and empirical contributions on the interactions between and within capitals experienced at firm specific and national accounting levels. Hence, we now move to the contribution of the individual papers. Recognising limits to growth noted earlier, Obst (2015) seeks to encourage consideration of the interaction of natural and financial capital in national accounts when accounting for GDP. Reflecting on his extensive experiencing as part of the interdisciplinary team developing the System of Environmental-Economic Accounting (SEEA) adopted by the UN Statistical Commission in 2012, he explores the potential and limits of accounting to contribute to a measurement of progress. 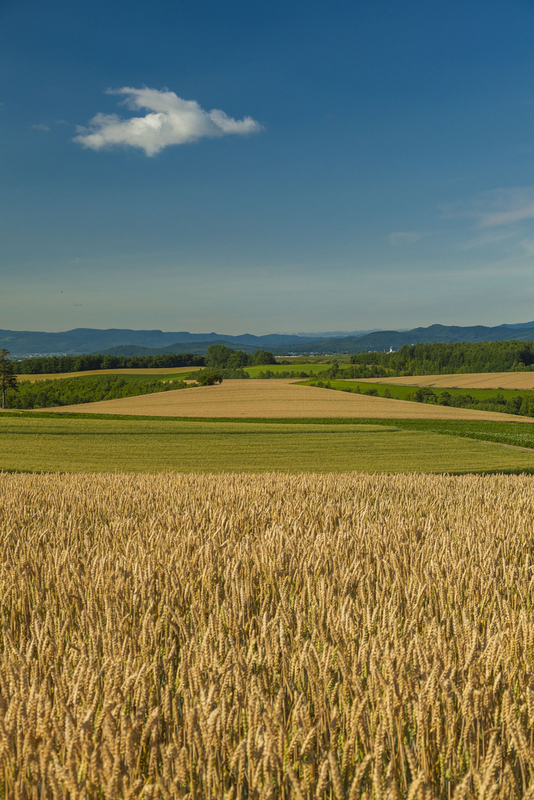 The paper goes back to the fundamental links between income, production and assets, and critiques the development of SEEA as a means of integrating into the measurement of GDP robust measures of natural capital. The case of SEEA highlights the contribution of financial valuation of physical stocks and flows to a broader measure of progress yet the limitations of using exchange values excluding consideration of surplus – a challenge for future research on trade-offs and interdependencies between natural and financial capital. A further challenge for future research is the consideration of human and social and relationship capital in this calculation of progress. Gibassier and Schaltegger (2015) examine the carbon management accounting system of a multinational company, Danone, through an in depth case study involving participant observation. Different carbon management approaches had emerged in parallel within the case study organisation but were subsequently converged into one carbon management accounting system. The learnings from this process of convergence may help other organisations seeking to better track, manage and report their overall impact on natural capital. 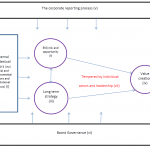 The ability to connect internal and external reporting systems is particularly important in the context of the IIRC’s push for greater stewardship of the capitals and the links between stewardship and accountability. Barter (2015) argues that the very use of the term natural capital makes it likely that organisations will increasingly try to put a financial value on it leading to the marketization of nature. 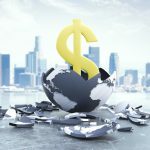 Whilst he acknowledges that the signalling power of dollars may be necessary to change behaviour, he warns of the possibly serious negative unintended consequences. Barter argues that through our attempts to manage natural capital we are in fact managing ourselves and also other life forms. He provides examples which demonstrate that “ascriptions of value require an understanding of the complexities of ecosystems and all their interactions” (pp 363-375) and he goes on to question the morality of economic rationality with respect to natural capital valuations. The findings of Hogan and Evans (2015) may add weight to the IIRC’s call for disclosure of forward looking strategy and connectivity of that strategy to non-financial reporting of an organisation’s value creation process through relationships with employees and customers. The authors argue that their empirical analysis demonstrates a link between financial capital (in the form of earnings persistence) and both human and social and relationship capital. Specifically, the authors examine the impact of the relationship between a firm’s strategy and relationships with customers and employees (described as socially responsible value drivers) on earnings persistence. The authors use the rating provided by Kinder, Lydenburg, and Domini (KLD) to evaluate firms’ focus on employee and customer relations and linear regression analysis to identify statistically signiﬁcant relations. They find that higher earnings persistence is associated with firms whose strategic orientation is aligned with the firm’s socially responsible value drivers and that the capital market understands the importance of alignment between a firm’s strategy and its value drivers. The authors argue that the results “provide guidance to management and boards of directors regarding the critical nature of disclosure regarding firm strategy and corporate social responsibility (CSR) as well as inform financial statement users as to useful relations beyond the actual reported accounting numbers.” (pp 374-396). Again at the firm specific level, Joshi et al. (2015) alternatively examine the nature of disclosures forming ‘integrated reports’ in South Africa before and after the introduction of mandatory disclosure requirements by the Stock Exchange. Their empirical results cover an estimated 78% of the market capitalisation of JSE and add to a previous study by Solomon and Maroun (2012) on the same topic with similar findings, the difference being that Joshi et al. (2015) investigates change in human, relational and intellectual capital disclosures in addition to social and natural capital (examined by Solomon and Maroun, 2012). To facilitate their investigation they develop and apply a new coding scheme (disclosure index) for measuring the levels of reporting around various capital categories. The theoretical basis for their contribution rests on the application of legitimacy theory to non-voluntary disclosure, arguably opening up debate on the relationship between regulation and legitimacy. In contrast to Joshi et al.’s (2015) analysis of disclosures, the thought piece by McElroy and Thomas (2015) reflects on their experience of developing and implementing the MultiCapital Scorecard, a method of performance measurement. The Scorecard’s development is based on the view that the performance of organizations can and should be assessed in terms of what their impacts on vital capitals are. What McElroy and Thomas (2015) propose has implications for considering how to assess performance in terms of multiple capitals and the potential to standardise performance measurement in a formal/ structured way. There are a number of challenges and opportunities when reporting on the capitals under the International <IR> Framework, discussed below. The extent to which the capitals terminology used in the Framework should be adopted in integrated reports, including whether the six categories identified in the Framework are adopted or indeed whether to use the word “capitals” at all, is left to the discretion of the reporting organization. The Framework itself does not require either of these, noting that the primary reasons for including the capitals “are to serve: as part of the theoretical underpinning for the concept of value creation; and as a guideline for ensuring organizations consider all the forms of capital they use or affect” (IIRC 2013, paragraph 2.17). Nonetheless, while it is still early days and rigorous empirical work remains to be done: (i) it does appear that use of the term “capitals” is increasing (indicating, perhaps, a growing acceptance of the metaphor referred to above), and (ii) some reporters are adopting the categorization used in the Framework, with or without minor variations, for example: Itaú Unibanco, Coca-Cola Hellenic Bottling Company, Lawson, Banca Fideuram, Atlantia, and Sasol. Our emphasis on the notion of capital as a metaphor highlights the need for careful consideration of the partiality of the metaphor adopted by all those involved and the potential for using the metaphor to examine emergent practice in <IR>. There continues to be great opportunity for organizations to provide a far deeper analysis of connectivity between the different capitals, including the “interdependencies and trade-offs between the capitals, and how changes in their availability, quality and affordability affect the ability of the organization to create value” (IIRC. 2013, paragraph 3.8). For example, while all transformations of capitals involve some form of trade-off (e.g., paying employees is, from an organization’s point of view, trading financial capital for human capital), few organizations appear to be reporting fully and thoughtfully on “… the important trade-offs that influence value creation over time, including trade-offs: Between capitals or between components of a capital (e.g., creating employment through an activity that negatively affects the environment); Over time (e.g., choosing one course of action when another course would result in superior capital increment but not until a later period); Between capitals owned by the organization and those owned by others or not at all”. (IIRC, 2103, paragraph 4.56). Important reference can be made to the challenges and limitations of developing and implementing national accounting systems based on measurements which capture the interaction between financial and natural capital, as demonstrated in the case of SEEA by Obst (2015). Similarly, at a firm specific level, Gibassier and Schaltegger (2015) examine the carbon management accounting system of Danone provide evidence of the importance of connecting internal and external reporting systems in the context of the IIRC’s push for greater stewardship of the capitals. The importance of management accounting information in <IR> is arguably under represented within <IR> and related research. As highlighted by Schaltegger and Wagner’s (2006) position of integrative management of sustainability, and now arguably Gibassier and Schaltegger (2015) and McElroy and Thomas (2015), it is important to connect internal and external reporting systems underpinning <IR> as well as engaging on lesson learned and potential interactions with accounts at a national accounting level highlighted by Obst (2015). When considering <IR>, an important aspect inferred by the framing of multiple capitals is stewardship and accountability extended to all capitals through disclosure, including disclosure of externalities. This is also reflected by the International <IR> Framework’s notion of value comprising “two interrelated aspects – value created for: The organization itself, which enables financial returns to the providers of financial capital; Others (i.e., stakeholders and society at large)”. (IIRC. 2013, paragraph 2.4). When addressing the challenges and opportunities of connectivity between capitals in value creation, transparency of organizational assumptions is critical. Future challenges and opportunities include identifying appropriate methods of examining <IR> disclosure practice. One example of a new disclosure index which may be applied is proposed Joshi et al. (2015), along with insight from its application in South Africa. Hogan and Evans’s (2015) empirical analysis of the potential link between financial capital and both human and social and relationship capital add weight to the IIRC’s call for disclosure of forward looking strategy of an organisation’s value creation process. Alternatively, McElroy and Thomas (2015) reflects on the opportunities and challenges of developing and implementing a formal method for evaluating the performance of an organization with respect to its use of ‘vital’ capitals, the MultiCapital Scorecard. Practice of reporting on the connectivity between natural capital and financial capital is also developing with particular attention currently being paid to natural capital through initiatives such as TEEB (The Economics of Ecosystems and Biodiversity), which seeks to “mainstream the values of biodiversity and ecosystem services into decision-making at all levels”, and the Natural Capital Coalition, which aims to “achieve a shift in corporate behaviour to conserve and enhance rather than deplete our natural capital”. the promotional material for a recent, well attended forum in London, while acknowledging “it is not without controversy”, mentioned that “Placing a value on social and environmental impacts is seen by many as the ultimate solution in delivering a sustainable economy”. In conceiving of the notion of ‘capital’ as a metaphor we have placed emphasis on its creation and representation in terms of understanding and added transparency to the power creating that understanding. In doing so we have highlighted the importance of the potential relationships and (inter)dependencies within and between capitals; the boundaries and materiality thresholds symbolized by these relations; and their potential representation of value/s. In moving forward our exploration of development of multiple capital concepts we continue to be challenged by considerations of (in)equalities, potential (in)commensurability and priorities and possibilities of inter/intra capital trade-offs. Inherent within this is a discussion of how the concept of monetary value needs to change. Arguably, defining capitals has an important role to play in <IR> and considerations of how to represent value and to whom (see Adams, 2013, 2015 for further discussion on this issue). The concept, or metaphor, of multiple capitals is relatively new and is certainly new in its application to corporate reporting, organisational accounting and business thinking, and hence there are numerous avenues for further research. This might include: examining and developing approaches to measuring the increases and decreases in different stocks of capitals and the transformation on one capital into (an)other(s); exploring how different organizations articulate what they mean by “value” and how this relates to value for the organization and value for otrhers; reflecting on developments in reporting on multiple capitals, including whether and how trade-off between capitals owned by an organization and those owned by others or not owned at all are reported; critiquing the relationship between, and impacts of, traditional triple bottom line approaches to reporting and reporting on multiple capitals; and, the influence of multiple capitals reporting and thinking on organisational behaviour and the external influence of the organisation including, for example, with respect to gender. Adams, C. A. (2013, updated 2015), Understanding Integrated Reporting: The Concise Guide to Integrated Thinking and the Future of Corporate Reporting. Oxford: Dō Sustainability. Adams CA and Harte GF (1998) “The Changing portrayal of the employment of women in British banks’ and retail companies’ corporate annual reports.” Accounting, Organizations and Society Vol. 23, No. 8, pp.781–812. Bhaskar, R. (1979) The Possibility of Naturalism. Harvester Press: Hassocks. Brand, F. (2008) “Critical natural capital revisted: Ecological resilience and sustainable development”. Ecological economics, Vol. 68, pp.605-612. Bourdieu P. (2008) Political Interventions: social science and political action. Verso:UK. [first published 2002 as Interventions, 1961-2001: science sociale and action politique, Ediciones Agone, translated by D. Fernback]. Bourdieu, P. (1991) Language and Symbolic Power. Polity press, Cambridge (translated by G. Raymond and M. Adamson). Bourdieu, P. (1986) “The Forms of Capital”, in Richardson, J. G. (Ed.) Handbook of Theory and Research for the Sociology of Education, Greenwood Press, New York, pp. 241 – 258. Bourdieu, P. (1996), The State Nobility, Polity, Cambridge. Broadbridge, A. (2010), “Social capital, gender and careers: evidence from retail senior managers”, Equality, Diversity and Inclusion: An International Journal, Vol. 29 No. 8, pp. 815 – 834. Clancy, J. (2000) The Inviisble Powers: the language of Business. Rowman & Littlefield. Collins, D., Dewing, I., and P. Russell (2009) “Postcards from the |Front: Changing narratives in UK financial services.” Critical Perspectives on Accounting, Vol. 20, pp.884-895. Cook, A., Faulconbridge, J. and Muzio, D. (2012), “London’s legal elite: recruitment through cultural capital and the reproduction of social exclusivity in City professional service fields”, Environment and Planning, Vol. 44 No. 7, pp. 1744 – 1762.
Cooper, C. and A. B. Coulson (2014) “Accounting activism and Bourdieu’s ‘collective intellectual’ – Reflections on the ICL case.” Critical Perspectives on Accounting, Vol. 25, No. 3, pp. 237-254.
Cooper, C., Coulson, A. B. and P. Taylor (2011) “Accounting for human rights: Doxic health and safety practices – The accounting lessons from ICL”. Critical Perspectives on Accounting, Vol. 22, pp. 738-758. Costanza R., d’Arge, R., de Groot, R., Farber, S., Grasso, M., Hannon, B., Limburg, K., Naeem, S., O’Neil, R. V., Paruelo, J., Raskin, R. G., Sutton, P., and M. van den Belt (1997) “The value of the world’s ecosystem services and natural capital”. Nature, Vol. 387, No. 15, pp. 253-260. Costanza R. and H. E. Daly (1992) “Natural Capital and Sustainable Dvelopment”, Conservation Biology, Vol. 6, No. 1, pp. 37-46. De Groot, R., Van der Perk, J., Chiesura, A. and A. van Vliet (2003) “Importance and threat as determining factors for crticiality of natural capital”. Ecological Economics, Vol. 22, pp.187-204. de Villiers, C., L. Rinaldi and J. Unerman (2014,) “Integrated Reporting: Insights, gaps and an agenda for future research”. Accounting, Auditing and Accountability Journal, Vol 27, 7, 1042-1067.
de Zwaan, L., Brimble, M., and Stewart, J. (2015), “Member Perceptions of ESG Investing Through Superannuation”, Sustainability Accounting, Management and Policy Journal, Vol. 6, Issue 1, pp 79 – 102. Dearing, J. A., Wang, R., Zhang, K., Dyke, J. G., Haberl, H., Hossain, Md. S., Langdon, P. G., Lenton, T. M., Raworth, K., Brown, S., Carstensen, J., Cole, M. J., Cornall, S. E., Dawson, T. P., Doncaster, C. P., Eigenbrod, F., Flörke, M., Jeffers, E., Mackay, A. W., Nykvist, B., and G. M. Poppy (2014) “Safe and just operating spaces for regional social-ecological systems.” Global Environmental Change, Vol. 28, pp227-238. Ekins, P., Simon, S., Deutsch, L., Folke, C., and R. De Groot (2003) “A framework for the practical application of the concepts of critical natural capital and strong sustainability”. Ecological Economics, Vol. 44, No. 2-3, pp.165-185. Everett, J. (2002), “Organizational research and the praxeology of Pierre Bourdieu”, Organizational Research Methods, Vol. 5 No. 1, pp. 56 – 80. Forum for the Future (2009), Five Capitals, Retrieved from http://www.forumforthefuture.org/project/five-capitals/overview 16th March 2015. Figge, F. (2005) “Capital Substitutability and Weak Sustainability Revisited: the conditions for capital substitution in the presence of risk.” Environmental Values, Vol 14, No.2, pp.185-201. Global Reporting Initiative/International Finance Corporation (World Bank) (2009) Embedding Gender in Sustainability Reporting: a Practitioners’ Guide. Global Reporting Initiative: Amsterdam. Grugulis, I. and Stoyanova, D. (2012), “Social capital and networks in film and TV: jobs for the boys?”, Organization Studies, Vol. 33 No. 10, pp. 1311-1331. Haynes, K. (2008), “(Re)figuring Accounting and Maternal Bodies: The Gendered Embodiment of Accounting Professionals”, Accounting, Organizations and Society, Vol. 33 No. 4 – 5, pp. 328 – 348. Haynes, K. (2012), “Body Beautiful? : Gender, Identity and the Body in Professional Services Firms”, Gender, Work & Organization, Vol. 19 No. 5, pp. 489 – 507. IPCC (2001), Third Assessment Report, WMO/Intergovernmental Panel on Climate Change, Geneva. Kimmel, M. (2010) “Why we mix metaphors (and mix them well): Discourse coherence, conceptual metaphor, and beyond.” Journal of Pragmatics, Vol. 42, pp.97-115. Kumra, S. and Vinnicombe, S. (2010), “Impressing for Success: A Gendered Analysis of a Key Social Capital Accumulation Strategy”, Gender, Work & Organization, Vol. 17 No. 5, pp. 521 – 546. Kwon, S.-W. and Adler, P. S. (2014), “Social Capital: Maturation of a Field of Research”, Academy of Management Review, Vol. 39 No. 4, pp. 412-422. Leaton, J et al. (2013) Unburnable Carbon: wasted capital and stranded assets. Carbon Tracker. Lejano, R. P. and D. Stokols (2013), “Social ecology, sustainability and economics”. Ecological economics, 89, 1-6. McGoun, E. G., Bettner, M. S. and M. P. Coyne (2007) “Pedagogic metaphors and the nature of accounting signifcation.” Critical Perspectives on Accounting, Vol. 18, 213-230.Meadows, D. H., D. L. Meadows, J. Randers and W. W. Behrens (1972), Limits to Growth. Universe Books, New York. Meadows, D. H., D. L. Meadows and J. Randers (2004), Limits to Growth: the 30-year update. Chelsea Green, Vermont. Raworth, K. (2012) A Safe and Just Space for Humanity: can we live within the doughnut? Oxfam discussion paper. Oxfam: Oxford. Rockström, J., Steffen, W., Noone, K., Persson, Å., Chapin, F. S., Lambin, E. F., Lenton, T. M., Scheffer, M., Folke, C., Schellnhuber, H. J., Nykvist, B., de Wit, C. A., Hughes, T., van der Leeuw, S., Rodhe, H., Sörlin, S., Snyder, P. K., Costanza, R., Svedin, U., Falkenmark, M., Karlberg, L., Corell, R. W., Fabry, V. J., Hansen, J., Walker, B., Liverman, D., Richardson, K., Crutzen, P., and J. A. Foley (2009a), “A safe operating space for humanity”, Feature Nature Vol. 461, No. 7263, pp. 472–475. Rockström, J., Steffen, W., Noone, K., Persson, Å., Chapin, F. S., Lambin, E. F., Lenton, T. M., Scheffer, M., Folke, C., Schellnhuber, H. J., Nykvist, B., de Wit, C. A., Hughes, T., van der Leeuw, S., Rodhe, H., Sörlin, S., Snyder, P. K., Costanza, R., Svedin, U., Falkenmark, M., Karlberg, L., Corell, R. W., Fabry, V. J., Hansen, J., Walker, B., Liverman, D., Richardson, K., Crutzen, P., and J. A. Foley (2009b), “Planetary Boundaries: Exploring the Safe Operating Space for Humanity”, Ecology and Society Vol. 14, No.2, pp. 32. Rockström, J and P. Sukhdev (2014), From MDGs to SDGs: transition to a development paradigm of human prosperity within a safe operating space on earth. Input to 11th Session of the UN OWG. 30th April. Schaltegger, S. and M. Wagner (2006) “Integrative management of sustainability performance, measurement and reporting.” International Journal Accounting , Auditing and Performance Evaluation. Vol. 3, No. 1, pp1-19. Shenkin M. and A. B. Coulson (2006) “Accountability through activism: learning from Bourdieu.” Accounting, Auditing and Accountability Journal, Vol. 20, No. 2, pp. 297-317. Simnett, R. and Huggins, A. (2015), “Integrated Reporting and Assurance: Where Can Research Add Value?” Sustainability Accounting, Management and Policy Journal, 6 (1): 29 – 53. Steyn, M. (2014), “Organisational benefits and implementation challenges of mandatory integrated reporting: Perspectives of senior executives at South African listed companies”, Sustainability Accounting, Management and Policy Journal, 5 (4): 476 – 503. Steffen, W.; Richardson, K.; Rockström , J.; Cornell, S. E.; Fetzer, I.; Bennett, E. M.; Biggs, R.; Carpenter, S. R.; De Vries, W.; De Wit, C. A.; Folke, C.; Gerten, D.; Heinke, J.; Mace, G. M.; Persson, L. M.; Ramanathan, V.; Reyers, B.; Sorlin, S. (2015). “Planetary boundaries: Guiding human development on a changing planet”. Science Vol. 347, No.6223, pp. 1259855. Stokols, D., Lejano, R. P. and J. Hipp (2013), “Enhancing the Resilience of Human-Environment Systems: a Social Ecological Perspective”. Ecology and Society Vol. 18, No.1, p. 7. UN Women (2013), A Transformative Stand-alone Goal on Achieving Gender Equality, Women’s Rights and Women’s Empowerment: Imperatives and key Components, UN Women, New York. United Nations Department of Economic and Social Affairs (2010), The World’s Women, United Nations, New York. Walters-York, L. M. (1996) “Metaphor in accounting discourse”. Accounting, Auditing and Accountability Journal, Vol. 9, No.5, pp. 45-70. Wijkman, A. and J. Rockström (2011) Bankrupting Nature: denying our planetary boundaries. Earthscan/ Routledge: London. Young, J. (2001), “Risk(ing) metaphors”. Critical Perspectives on Accounting, Vol.12, pp. 607-625. Morgan, G. (2006) Images of Organization. Sage. is the fourth edition. For the original text see Morgan © 1998. The results of these searches are available on the IIRC’s website at http://www.theiirc.org/wp-content/uploads/2013/03/The-Capital-Methods-of-literature-review-and-sources.pdf Accessed16th March 2015. Research supporting the background paper highlights ‘capital’ as a metaphor, applied across many different disciplines, and not the exclusive domain of economic reasoning. See ACCA, Flora and Fauna International and KPMG (2013) http://www.accaglobal.com/content/dam/acca/global/PDF-technical/sustainability-reporting/natural-capital-materiality-paper.pdf on how conceptions of materiality compare.